The focus for the 2013 campaign – the 10th anniversary of World Blood Donor Day – is blood donation as a gift that saves lives. WHO encourages all countries to highlight stories from people whose lives have been saved through blood donation, as a way of motivating regular blood donors to continue giving blood and people in good health who have never given blood, particularly young people, to begin doing so. The objectives of this year’s campaign are to thank blood donors for their life-saving donations; promote voluntary unpaid blood donation; and convince ministries of health to commit to achieving self-sufficiency in safe blood and blood products based on 100% voluntary unpaid blood donation. Our body has 5.5 ltr of blood of which only 350 ml – 450 ml of blood is taken depending upon weight of donor. Majority of healthy adults can tolerate withdrawal of one unit of blood. The withdrawn blood volume is restored within 24 hours and the hemoglobin and cell components are restored in 2 months. Therefore it is safe to donate blood every three months. Blood donation, the voluntary act of allowing one′s blood to be drawn out of body has many advantages. No doubt the first and foremost advantage of donating blood is the exalted feeling of saving someone′s life. If we donate the little excess blood in our body, it could save someone′s life without creating any problem for us. The average amount of blood present in an adult is 4-5 liters or about 8% of the body weight. Life cycles of the different components are short. The RBC lives about 120 days while white cells last about 3-9 days. New blood cells are constantly generated in the body. 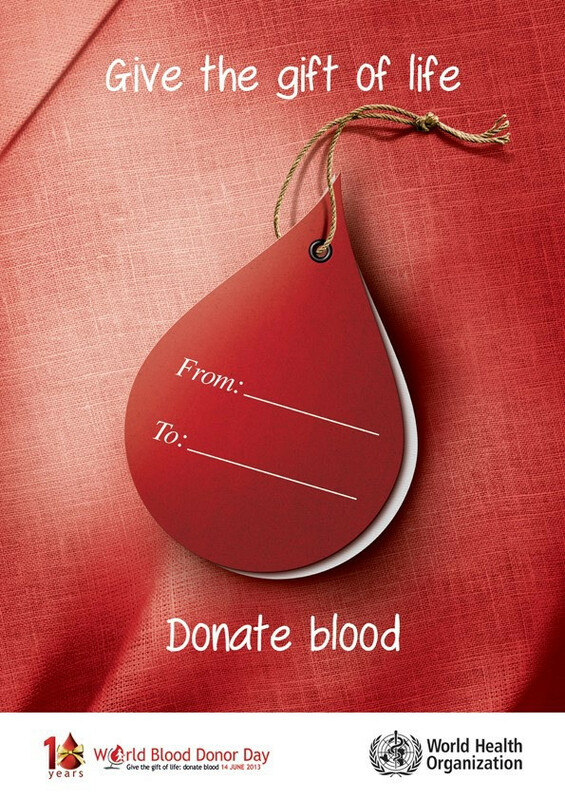 A person can donate blood 168 times during his 18 to 60 years. The quantity of blood present in 1kg of body weight is 76ml for males and 66 ml for females. Out of this 8 ml per kg body weight can be donated. Males can donate for every three months while females for every four months. All donated blood is recuperated within 21 days. At one time only 350 ml will be taken from a donor. Blood donation is harmless and safe in the body. Rather, it is a social responsibility. The donor is donating for it as it will be used in saving lives of his fellow beings. He himself may use the same in his own need. So today’s donor may be tomorrow’s recipient. The whole process of blood donation – from the time you arrive until the time you leave – ordinarily lasts no more than one hour. The donation itself takes only about fifteen minutes. Your single donation can help as many as three people, and can be at a hospital in as little as 48 hours, ready for a critically ill patient. Blood donation also burns the extra calories and reduces your cholesterol level. In times of accidental injuries that shed huge amounts of blood and also in various types of surgical operations for medical treatments, blood is required for transfusion. Unavailability of blood may cost lives. Hence, importance of blood donation is tremendous. This is the greatest gift one can do for the mankind. There are no major disadvantages of donating blood, except that sometimes one may experience a drop in blood pressure or mild nausea or dizziness for a short while. But if you compare the health benefits and mental satisfaction that comes from saving a life, you will feel that benefits of this act of charity are not only restricted to the recipient, but also helps the donor immensely.